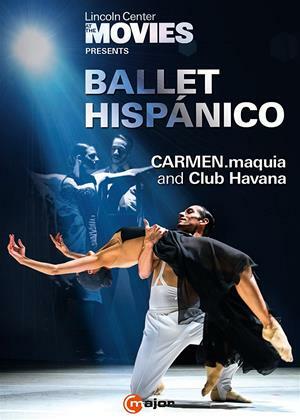 Double bill of Spanish and Latin American ballet's directed by Eduardo Vilaro and performed by Ballet Hispanico. Gustavo Ramírez Sansano choreographs 'Carmen.Maquia', a contemporary take on Bizet's 'Carmen', in which Christopher Bloom performs as Don José. In 'Club Havana', the intoxicating atmosphere of a Cuban club is brought to life by choreographer Pedro Ruiz, featuring dances such as the rhumba, cha-cha-cha and mambo.